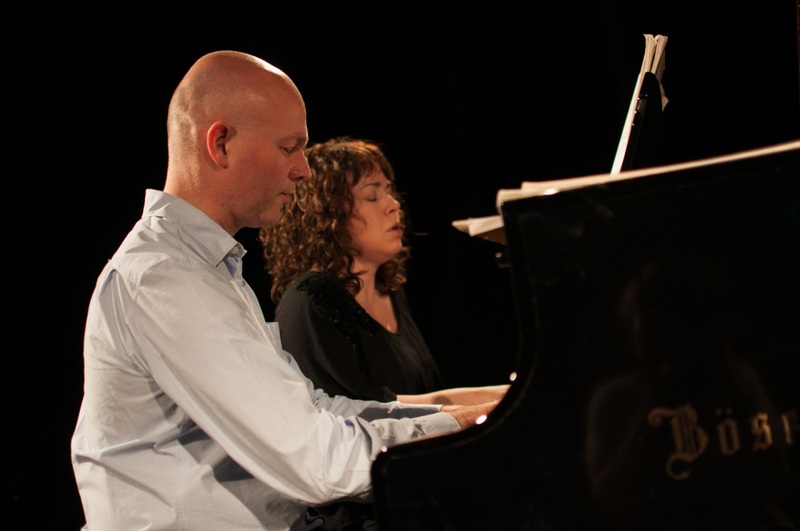 The pianists Katya Apekisheva and Charles Owen each have distinguished solo careers as well as a well established duo partnership (see also their duo partnership website). Now the two are adding another string to their bow, as festival directors. They are organising the London Piano Festival at Kings Place (7-9 October 2016), the first of an annual celebration of the piano. This year line-up of performers is impressive indeed, including Ronan O'Hora, Julian Joseph, Stephen Kovacevich, Noriko Ogawa, Lucy Parham, Martin Roscoe, Kathryn Stott, Dénes Várjon, Ashley Wass as well as Apekisheva and Owen themselves, plus the prospect of Alfred Brendel lecturing. And it won't just be piano solos, the gala concert on Saturday evening will be featuring music for piano duet. I recently met up with Katya and Charles to find out more. The London Piano Festival came about partly thanks to the New Ross Piano Festival in Ireland, whose artistic director is Finghin Collins. Katya and Charles took part as a piano duo in the festival, along with two other piano duos. They thought that the exploration of the two piano repertoire worked well, and they enjoyed being together with other pianists, as compared to the generally lonely life of a solo pianist. Inevitably, because of the way diaries get booked up ahead, they are already thinking about the line-up for future festivals even before the first one has happened and they have to trust that the sponsorship and audience will be there. For this first year, they wanted everyone to be a top player, and all the performers are people that either Katya or Charles knew personally or had worked with. This year's line-up consists entirely of people that they were able to phone or email directly. They want to cast their net a bit wider for future festivals, and will be inviting artists whom they admire, but do not know personally. One of the things they want to do is bring to London fantastic pianists who have not played much in the UK. So next year we have the prospect of being able to hear major pianists who have little profile in the UK. This is very much a new venture for both Katya and Charles, but they recognised the need to be serious in their approach and they are 100% involved and responsible for every decision. In fact, neither realised quite how much work would be needed, and both their partners (neither of whom works in music) have been involved as well. The festival is only two and a bit days in duration, but for Katya and Charles it is huge. It helps that Katya and Charles have played regularly at Kings Place (both as a duo and solo), participating in such festivals as Brahms Unwrapped and Mozart Unwrapped, so they know the team at Kings Place well. And it isn't just festival planning, both have busy concert careers (including performances during the festival), and to cap it all Katya and her husband have just moved house. 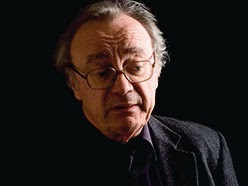 The festival opens with something of a coup, the distinguished pianist Alfred Brendel lecturing on Liszt's Piano Sonata, followed by a performance of the sonata by Dénes Várjon. On the Saturday there are just three solo recitals, each on just 60 to 70 minutes and each on a particular theme; Kathryn Stott playing French music in F sharp, Katya playing Impromptus by Chopin, Scriabin and Faure, Charles playing Bach keyboard partitas (the concert is also the launch of his new CD). 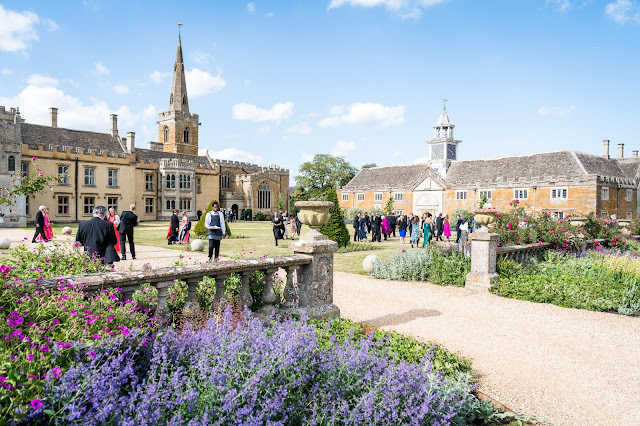 In the evening there is the two piano gala, and then on the Sunday Noriko Ogawa gives a family concert, Lucy Parham and Henry Goodman perform Lucy's programme about Debussy Reverie: The Life and Loves of Claude Debussy and the event closes with a concert by the jazz pianist Julian Joseph. Both Katya and Charles have taken part in chamber music festivals where a group of performers come together for a weekend or so where they get together, rehearse quickly and perform, in a variety of performer combinations. These can be great occasions, but they can also be a bit of a mess. Instead they wanted the various events in the festival to have a considered quality, for the programmes to stand on their own and not put together at the last minute. Katya and Charles are hoping that people might be tempted to come for the whole day on the Saturday, hence the idea of having an interesting theme to each of the recitals in order to provide variety, and there is a remarkable variety of music on offer. They wanted the programmes to be approachable without a sense of dumbing down. Though Kathryn Stott in her recital will be performing Messiaen and Dutilleux, some of the greatest novelties in the festival come in the two piano gala on the Saturday night. This gala was directly inspired by the New Ross festival, and by a two piano event in which Katya and Charles performed at the Guildhall School of Music and Drama last year, when the programme included Bartok, Brahms, Stravinsky and Ravel. For their own gala, Katya and Charles admits that they have made some quirky choices in the programming. 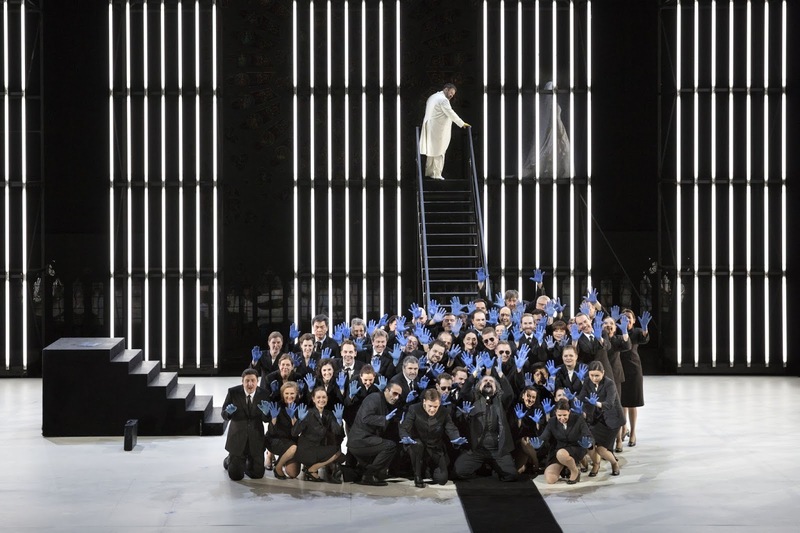 All the pieces, except for the new work by Nico Muhly, are 20th century and none are standard repertoire. The concert is divided into three parts, with the music working its way from the high seriousness of Busoni's Fantasia Contrapuntistica, through Debussy, Ravel and Rachmaninov, to Milhaud's Le boeuf sur le Toit, Piazzolla's Tangos, and Grainger's Fantasy on Porgy and Bess. The pianists are equally tempting, Ronan O'Hora, Martyn Roscoe, Katya Apekisheva, Charles Owen, Ashley Wass, and Kathryn Stott. Nico Muhly's new piece Fast Patterns was written specifically for Katya and Charles. When I ask what it is like they both laugh, and then say 'very fast'. They describe it as like a tennis match between the two pianos, quite minimalist, quite humorous and very effective. They have deliberately aimed for variety in the festival, hoping to tempt people into staying and taking in a number of events. 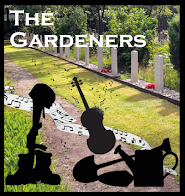 They are rather pleased with the way things have turned out, with the final day devoted to a family concert, spoken word and jazz, and they hope that people will 'take a risk on the jazz'. But of course all this means that they are worried about next year's festival, they want to achieve the same sort of variety without seeming to repeat themselves. Swapping is healthy for their partnership and helps to keep the individual players on their toes. Both Katya and Charles studied at the Royal College of Music, and both had the same teacher Irina Zaritskaya, so they were friends long before they became a piano duo. In fact they never set out to become a duo, but were asked to play at festivals and they discovered it worked, playing as a duo became a big part of their lives. They play both music for two pianos, and music for two pianists at one piano, and they take a democratic attitude to allocating roles, swapping who is primo and secondo. Whilst both parts have their particular challenges, they feel that swapping is healthy for their partnership and helps to keep the individual players on their toes. Talking to them, it is clear that they have a very friendly and relaxed partnership. Both are eager to talk about the festival, and complement each others information which shows that their thought processes dovetail as well as their hands on the piano. I was interested to find out what they thought makes a good partnership. For both, the sense of the pianist's touch was important, the two must be compatible. With Katya and Charles, it helped that they studied with the same teacher so that there are similarities in their touch, and in their attitude to sound. They have a shared view, but are not the same. This is important because if their touch and sound was too similar the results could be dull. If two pianists are radically different then a duo partnership can work, but there is a danger that the sound quality will be a real mess. The quality of listening is important too. Creating a good piano duo partnership takes time and a lot of work, with each performing paying attention to what is happening in both parts. The intention is to create something together. The third component is having compatible personalities, they both enjoy it. Whereas some relationships have the inevitable tensions, Katya and Charles have found that they can say what they think to each other, both appreciate criticism. Neither has a teacher any more, which means it is tricky keeping the critical functions sharp and both appreciate the candid nature of the relationship, it is incredibly precious to them. For Charles, after he has spent a long period playing piano duos with Katya he feels that his solo playing has improved. So when playing a solo work like Ravel's Gaspard de la Nuit, he starts to imagine some of the voices being played by an invisible Katya and finds this helpful. 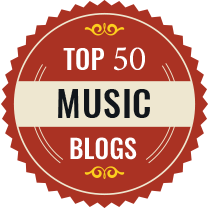 Whilst they do have some solo repertoire in common, there is a lot which is not common thus ensuring that they never feel that they are competing. They both love the process of rehearsing, and the dynamic means that one can inspire the other, and provide energy when it is lacking. Both have played a lot of chamber music in lots of different forms (though both would like to work with singers more), and they feel that this has helped them to function well as a duo as it is hard for two soloists to join together. When two pianists play together, ensemble is difficult and it is important to breathe together, and in fact they hardly look at each other, instead simply breathe and feel together. Sometimes when playing lightly they join their elbows together to ensure that the touch is coordinated. 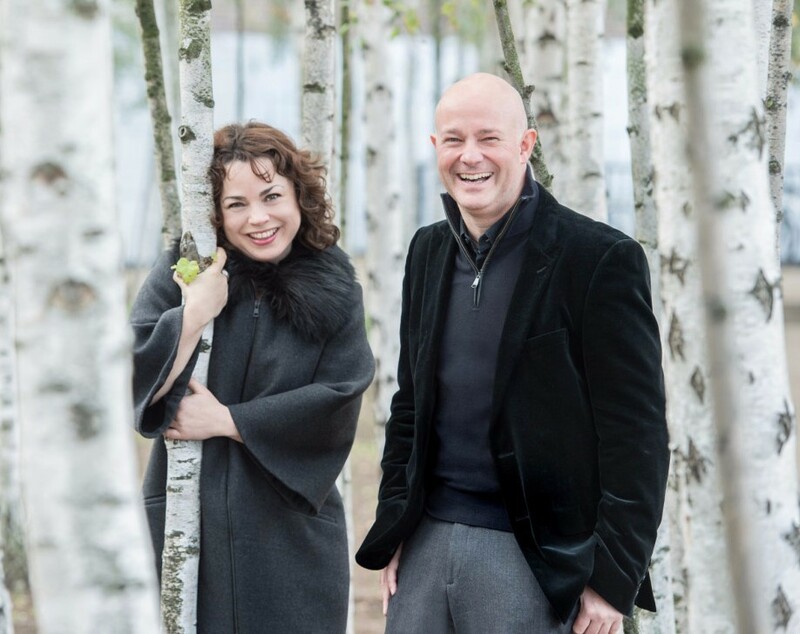 Further ahead, Katya and Charles are performing at the Menuhin Hall on 29 November, in a programme of Rachmaninov Suite No 1 and Symphonic Dances, Lutoslawski, Ravel and the new Nico Muhly piece, it will be the first time that they have performed the Symphonic Dances together. Then on December 15 they will be returning to Leicester New Walk Museum for a lunchtime concert of Debussy, Bizet, Faure, Ravel. 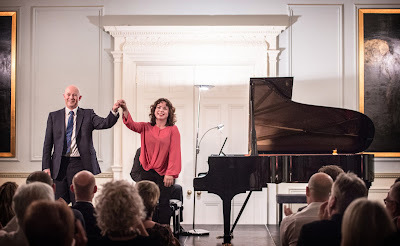 Full details about the London Piano Festival from the festival website, and for details of Charles and Katya's other concerts together see their duo's website.